The best way to end a very exhausting day when traveling and exploring a province is to find a relaxing place where you can have a peaceful sleep and will recharge your energy for your adventures the next day. When I visited Bacolod, I found myself to the roads leading to Go Hotels Bacolod, the place for every Juan. 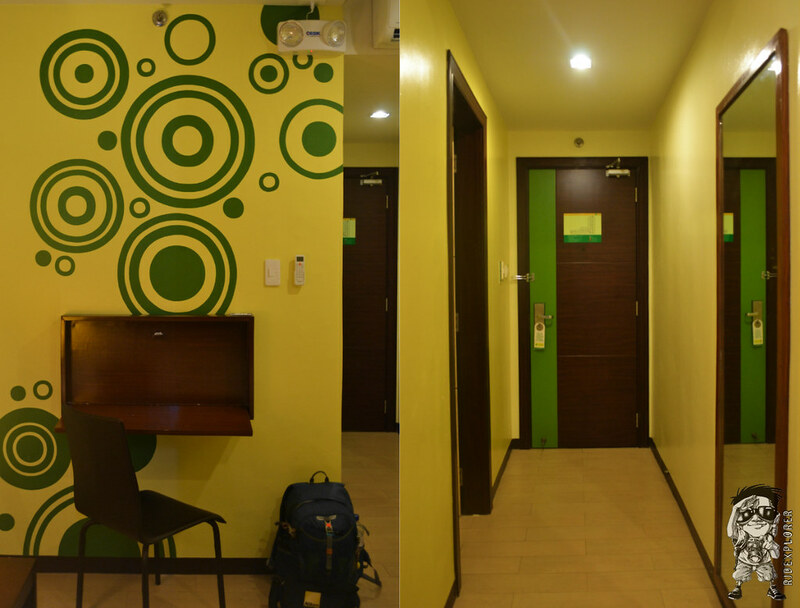 Warm vibe of Go Hotels Bacolod’s front desk. Right after I landed on BREDCO Port from Loney Port in Iloilo, I made my way to SM City Bacolod and had late lunch and took a jeepney passing by Robinsons Place where Go Hotels Bacolod is adjacently located. 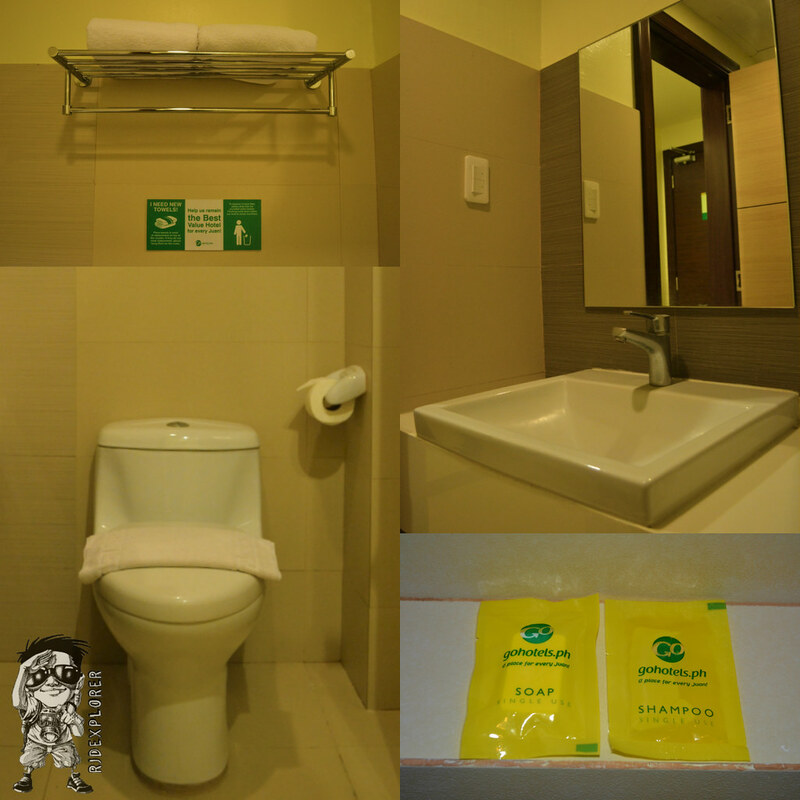 It was my first time to try the chain of hotels and the site still goes with the white, yellow and green signature color combination. Standard time for check-in is 2PM. You will notice from the entrance the spacious receiving area of the hotel with refined furniture used and some native decorations. The information desk has several counters for them to easily accommodate the queue of people. After the staff verified my reservation, I was asked to fill-in a form, handed the hotel key card while welcoming me with a sweet smile. 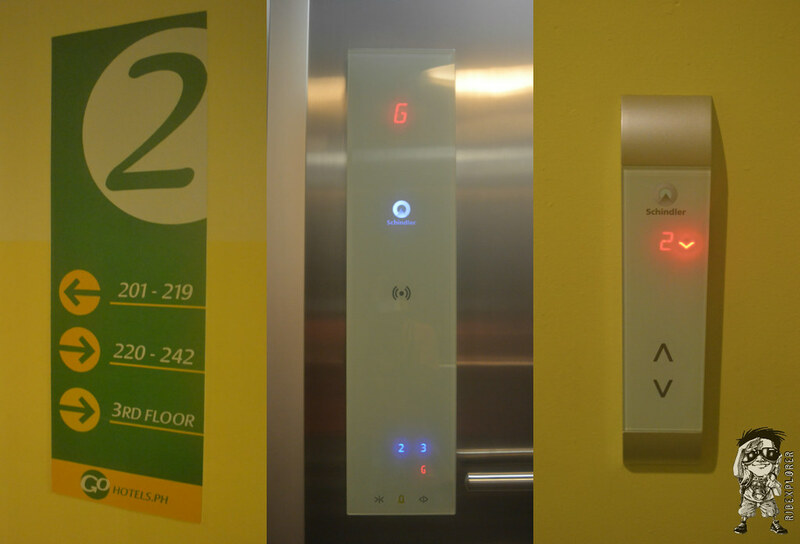 Floor signage and the touch elevator controls. Room I got was located at the second floor. I was stunned by the touch features of the elevator control. Room type is Queen which is actually good for 2 adults and a child. 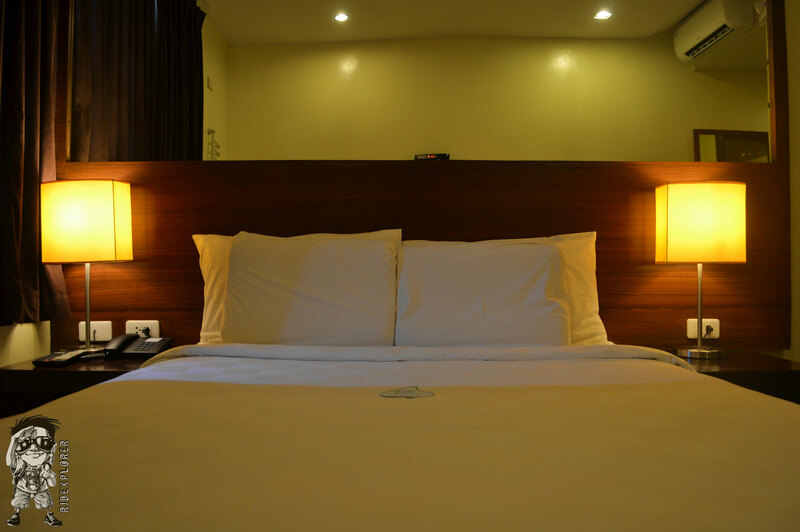 It is fully equipped with a Windsor bed, individually controlled air conditioning unit, LCD Cable television, Wi-Fi, an in-room safe, the super shower, fresh towels and a single use shampoo and soap. Queen room accommodation for my stay in Bacolod. 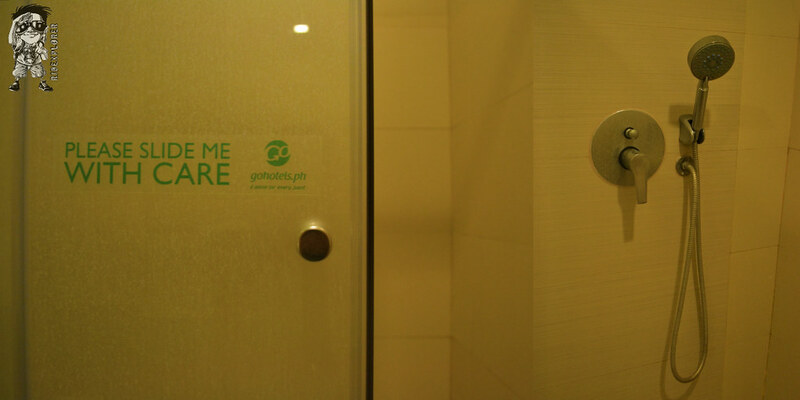 The first part I checked upon entering the room was the toilet and shower. I was amazed by the set up since the room only costs Php888 a night. It really surpassed the value of your money! Fresh and clean towels were properly placed on the rack and toilet and shower were separated by a sliding glass divider. Hot and cold shower can be availed on their so called super shower that includes hand-held and overhead spouts which will make your every bath more enjoyable. Toilet and sink, towel-rack, and single-use shampoo and soap. Sliding shower door and the hand-held shower spouts. After unpacking my things, I switched on the cable TV. There were two separate remote controls on the side table: one marked with “TV Remote” and the other one with “Digibox Remote”. I had a hard time switching it on since it says “No Signal” everytime I enter a channel. I called the front desk for assistance and they patiently instructed me over the line the right way of operating it. They also sent a member of the housekeeping to check if it worked properly. I just wish they also provide a channel list for their guests. 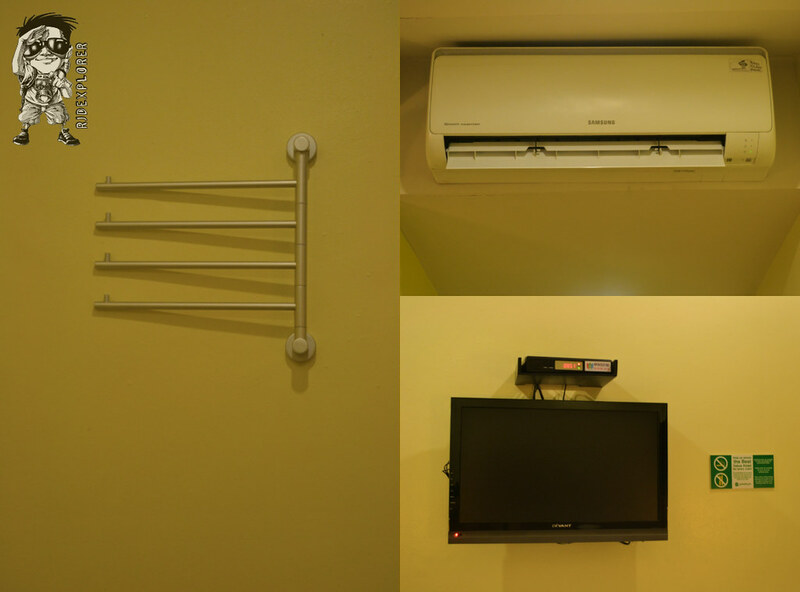 Clothing bar, air conditioning unit, and LCD cable television. Foldable table and a large mirror opposite of the bathroom. I had a very comforting sleep on their Windsor bed which was actually manufactured locally in the country. Sheets are 100% cotton with duvet covers and pillows are chiropractors and high quality non-allergenic. A foldable table is also available if you have some errands to do online with your laptop. There is no available cabinet for your things but you can use the clothing bar to hang your garments. 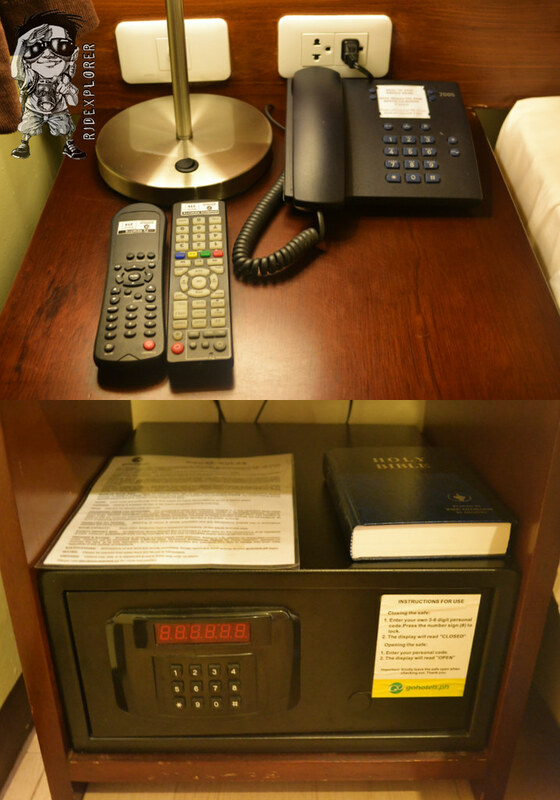 Guests can also use the room’s safe for their very important belongings. TV and Digibox remote, telephone, safe, and a Bible. Time to catch a sleep. Housekeeping is scheduled between 2PM to 6PM and if you want your bedsheets to be replaced with a new one, you just need to place the “leaf sign” having the “I need new sheets!” on top of your bed. It goes the same with the used towels. 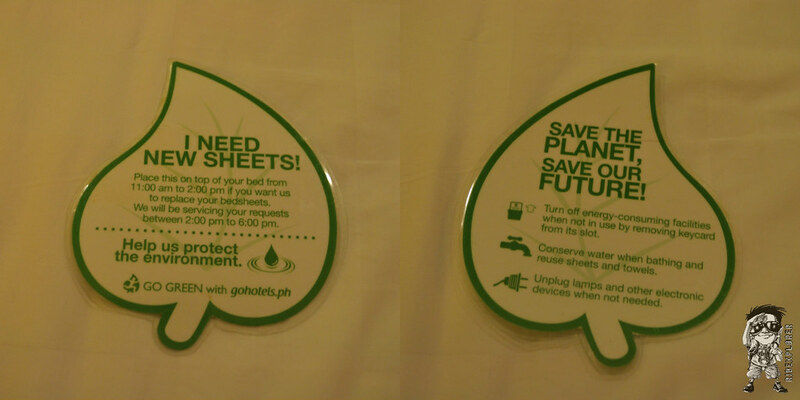 Go Hotels support the Go Green Project and maintain this by placing some tips and suggestions in protecting the environment. “I Need New Sheet” sign. 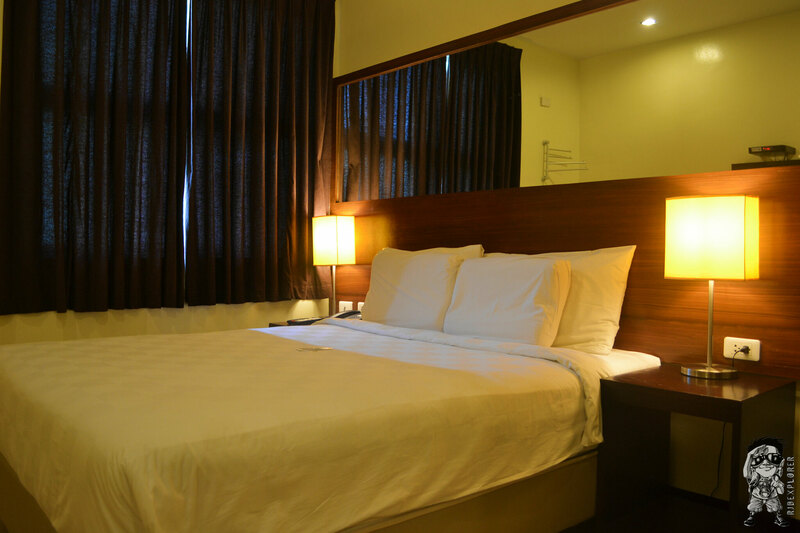 The hotel also offers luggage storage, free parking, has 24-hour CCTV security, and other services such as spa, transport service, laundry, pasalubong center, and restaurant/café. Room rate doesn’t include breakfast but you can add at least Php118 to avail one at 21 Café located on the ground floor. If ever you forgot to bring you toiletry kit, a set of shampoo, conditioner, body lotion, bath gel, bath soap, toothpaste, toothbrush and a shaver will only cost you Php88. 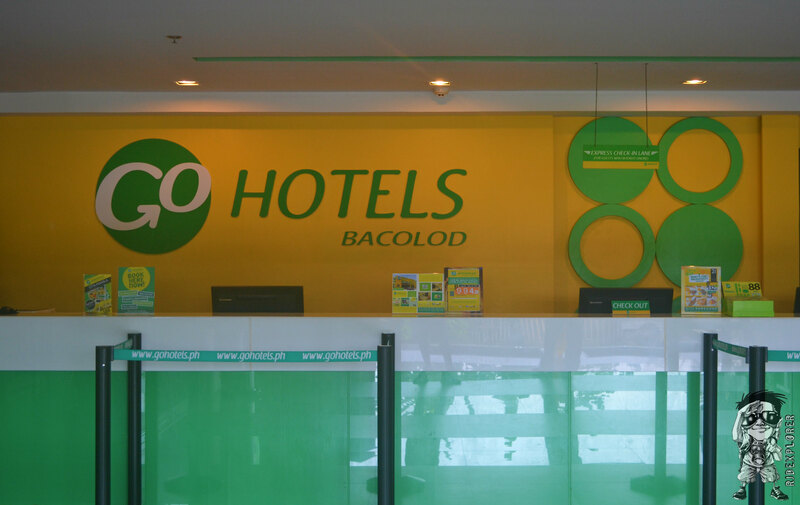 Go Hotels Bacolod by night. I consider its location perfect for travelers. Robinsons Place is just a stone throw from the hotel where you can have everything you need plus the Bacolod City Walk with an alfresco set up having a couple of food stalls to choose from. You can also check out the Negros Showroom extension located at the City Walk for some items found in the island of Negros such as masks, handmade products and sweet delicacies. 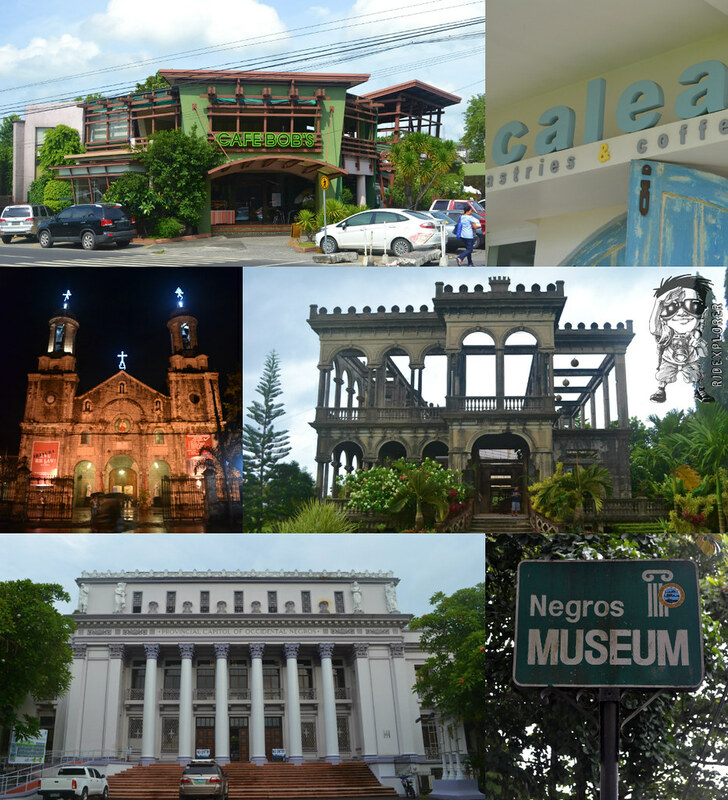 Some of the destinations near Go Hotels: Cafe Bobs, Calea, San Sebastian Cathedral, The Ruins, Negros Occidental Provincial Capitol and Negros Museum. It is also 15 minutes away from the famous The Ruins of Talisay, Negros Occidental and a 5-minute ride to Negros Provincial Capitol which is accessible to the lagoon, Biodiversity Center, and Negros Museum. Its location along the tourism strip Lacson Street is another convenient feature for everyone who wants to have food tripping on restaurants such as Calea, Café Bobs, Bacson Café, Pendy’s, 21st Restaurant, New Inaka, Trattoria Uma and a lot more. Indeed a place for every Juan! 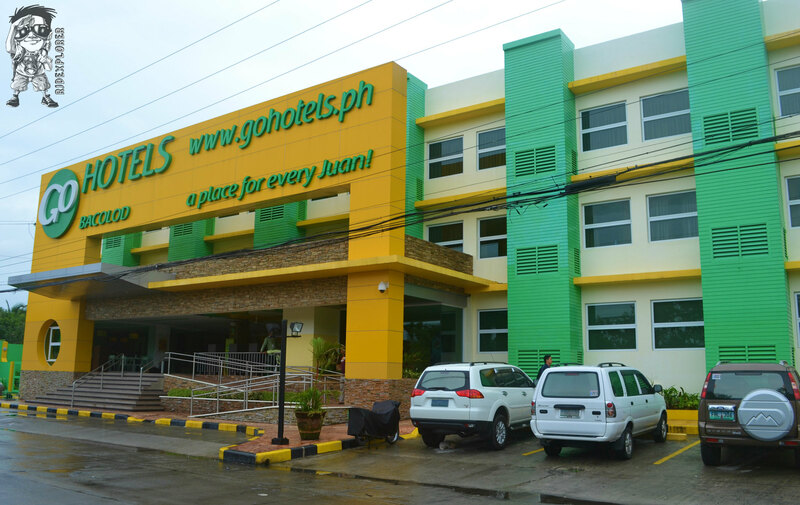 Go Hotels Bacolod has 108 rooms, 63 of which are Twin rooms and 45 are Queen. 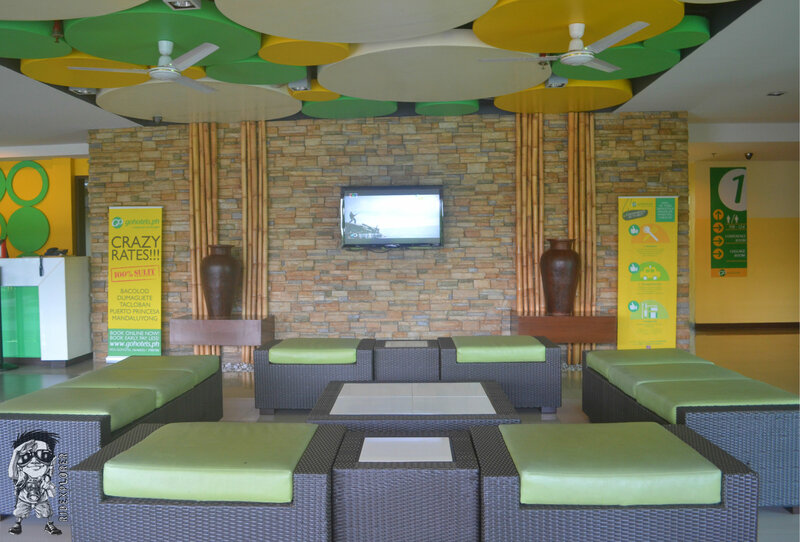 It is certainly the perfect place to stay in Bacolod for its affordable rates, pleasurable experience, relaxing vibe, available amenities, and incredibly convenient location which really makes it a place for every Juan.